Search archived articles, review expert clinical advice, and access helpful professional links and information. 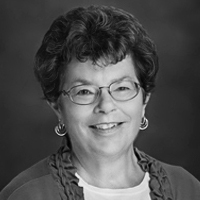 Dr. Black received her OT degree from Boston University in 1968, a master’s degree in Adult Education from the University of Southern Maine in 1989, and a PhD in Educational Studies, with a focus on multicultural curricula from Lesley University in 2002. 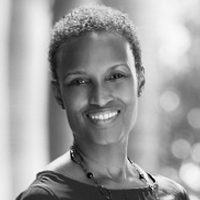 She has published several articles and book chapters in the area of diversity, and has co-authored two books on cultural competency, the latest being Culture and Occupation: A Model of Empowerment for Occupational Therapy (2007, Black & Wells, AOTA Press). She has presented on this topic at numerous state, regional, national and international conferences. Dr. Black is a tenured Full Professor in the MOT program at the University of Southern Maine where she was the program director from 1997 to 2014. Salvador Bondoc is Professor and Department Chairperson of Occupational Therapy at Quinnipiac University where he teaches foundational neurosciences and neurological rehabilitation in the combined Bachelor of Health Sciences/Master of Occupational Therapy program and Evidence-based Practice and Doctoral Capstone in the post-professional OTD program. 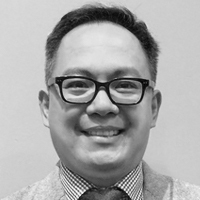 Dr. Bondoc has been honored as Fellow of the American Occupational Therapy Association for his Leadership and Clinical Excellence in Evidence-based Physical Rehabilitation in 2012; and granted the Award of Merit by the Connecticut Occupational Therapy Association in 2013 and by New York State Occupational Therapy Association in 2008. He is engaged in research and clinical practice with special emphasis on outpatient neurorehabilitation, hand therapy, and geriatric rehabilitation. Dr. Liz Cara currently has 15 years of experience working in all areas of mental health and with clients in every age group from infancy to older age. She has developed innovative programs in mental health and coordinates occupational therapy programs with community partners in addition to being on advisory boards for mental health organizations. She has taught a variety of courses including mental health and community practice, group intervention, fieldwork, activities, evidence-based practice, introduction to research, education in occupational therapy, advanced research and research thesis/project courses using both online and in-person technology. She has presented research, workshops, seminars in local, state, national and international conferences. She is the editor and author with Dr. Anne Macrae of the popular textbook, in its third edition, Psychosocial Occupational Therapy: An Evolving Practice. She has presented papers written from a psycho biographical perspective on the artist Georgia Okeeffe and the occupational therapist and primatologist, Dian Fossey. Jessica Crowe, OTD, OTR/L received her BSOT degree from the University of Tennessee at Chattanooga in 2004 and her OTD degree from Creighton University in 2013. Dr. Crowe has practiced in the adult physical disability and geriatric practice settings for the last 10 years. Her research interests include occupational therapy evaluation and intervention strategies for individuals with mild to moderate cognitive impairment and issues related to fieldwork education. She has published and presented at state and national conferences on topics related to cognitive rehabilitation and strategies to promote improved occupational performance for those with cognitive deficits. Dr. Crowe has been an invited lecturer at local conferences sponsored by the Alzheimer’s Association on these topics. She is currently working as a full time OT at Life Care Center at East Ridge. Sandee is an occupational therapist and Professor at Nova Southeastern University. Her specialty practice areas include early intervention, program development and family centered care and her research interests are related to Occupational Science. Dr. Dunbar has written two books with contributing authors related to Leadership and OT practice, in addition to several articles. Currently, Sandee is the Assistant Dean of Professional Development and Education at NSU, developing a Leadership Academy which will eventually include classes available to the public. 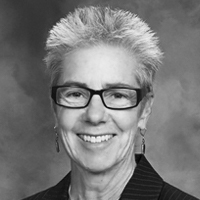 Winnie Dunn is Professor and Chair of the Department of Occupational Therapy Education at the University of Kansas. She is an internationally known expert for her studies about sensory processing in everyday life. She has published more than 100 research articles, book chapters and books, and has spoken around the world about her work. She is the author/coauthor of all the Sensory Profile measures, which capture people's responses to sensory events in everday life; these assessments have been translated into dozens of languages and are used for both professional practice and in research programs. She has received the top honors in her field, including the Award of Merit for outstanding overall contributions, and the Eleanor Clarke Slagle Lectureship for outstanding academic contributions. She is a member of the Academy of Research for the American Occupational Therapy Foundation and has received the A. Jean Ayres research award. Most recently, she has written a book for the public about her research entitled "Living Sensationally: Understanding Your Senses," which as been featured in Time magazine, Cosmopolitan magazine, Canadian Public Radio and the London Times Newspaper among others. In July 2009, "Living Sensationally" received the Seal of Excellence from the Children of the New Earth Magazine for parents, professionals and other caregivers. 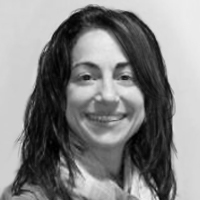 Dr. Lenore Frost, PhD, OTR/L, CHT is clinical assistant professor at Sacred Heart University in the Department of Occupational Therapy and Health Sciences. 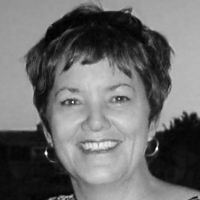 She is an occupational therapist with over 30 years experience in upper quadrant disorders and adult rehabilitation. Dr. Frost’s primary research agenda investigates the integration of safe patient handling (SPH) curriculum in occupational, physical, and nursing academic programs. Kimberly A. Furphy was granted a Doctor of Health Science Degree with concentrations in Assistive Technology and Gerontology at the University of St. Augustine for the Health Sciences, a Master of Science Degree in Occupational Therapy from Temple University, and a Bachelor of Arts in Psychology from the University of Virginia. She is also a certified Assistive Technology Practitioner by the Rehabilitation Engineering and Assistive Technology Society of North America. Her clinical and research interests include assistive technology applications in the treatment and education of individuals with physical and cognitive disabilities as well as pedagogical innovations for professionals working in the field of assistive technology. 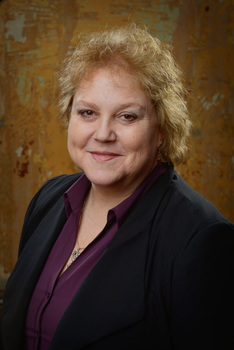 She has worked as an Assistant/Associate Professor and is the current Program Director in the MSOT program at the Richard Stockton College of New Jersey teaching courses in assessment and treatment of the adult and geriatric populations, upper extremity rehabilitation and splinting, as well as assistive technology interventions. She has numerous presentations at the American Occupational Therapy Association’s Annual Conference and at the New Jersey Occupational Therapy Association’s Annual Conference on the topics of assistive technology and home modification and is a frequently invited lecturer at local schools and facilities on these topics. Dr. Furphy is also the author of the chapter on assessment tools for Activities of Daily Living in the book Occupational Therapy Assessment Tools: An Annotated Index, 3rd Edition. Leslie J. Hardman, OTD, OTR/L is an Assistant Professor of Occupational Therapy at Eastern Kentucky University. She completed her doctorate at Chatham University (2013) with a capstone project showcasing the effectiveness of an interdisciplinary family centered pediatric care model with targeted parent teaching. She has 30 years of clinical practice, primarily with children of all ages in home health, schools, community and clinical settings with an emphasis in autism and restrictive eating disorders. She was instrumental in the development of Kids Can Do Pediatric Therapy Center, a service of Ephraim McDowell Health, in 2006, and presents at conferences promoting interdisciplinary family centered care. Beth Ann Hatkevich, has a strong clinical background and has worked with a variety of populations in both rehabilitation and mental health settings. She is a leader in community-based practice models for occupational therapy. Beth Ann is an Associate Professor and Director of Clinical and Educational Programming in the Occupational Therapy Doctoral program at The University of Toledo. She oversees the capstone portion of the program and teaches courses related to program development, course development, and the teaching/learning process. Her clinical and research interests include aging individuals with intellectual and developmental disabilities as well as at-risk adolescents and young adults. Barbara L. Kornblau is an attorney, an occupational therapist, a certified case manager, a certified pain educator, and a past President of AOTA, who has been in private practice, on and off throughout her 30+ year career in occupational therapy, and mentored and consulted with other occupational therapists starting out in private practice. She is an adjunct professor at Florida A&M University and Rocky Mountain School of the Health Professions. She is a consultant to the United Spinal Association Pathways to Employment Program and the American Association on Health and Disabilities Breast Cancer Awareness for Women with Disabilities Program.. She is also a consultant to developing OTD programs. She has hundreds of presentations and publications on topics related to occupational therapy practice, case management, and legal issues. 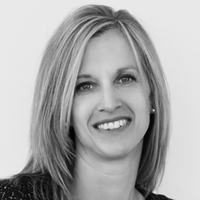 Michelle is an occupational therapist with 30 years of experience and has been in private practice, Access to Independence, for 10 years. She is a well-respected lecturer, both nationally and internationally and has authored 6 book chapters and over 200 articles. She is the editor of Fundamentals in Assistive Technology, 4th ed. and Clinical Editor of NRRTS Directions magazine. Michelle is on the teaching faculty of RESNA. Michelle is a member of the Clinician Task Force. 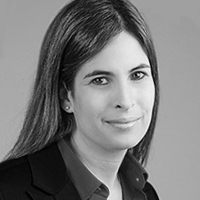 Michelle is a certified ATP, certified SMS and is a Senior Disability Analyst of the ABDA. 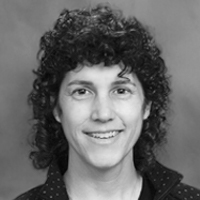 Dr. Lauer has 27 years experience in occupational therapy in both clinical and academic settings. She has worked with a broad spectrum of clients and has particular interest in technology and how it assists clients to maintain or regain independence in occupations. 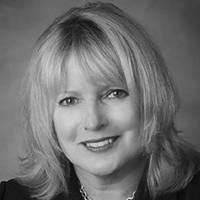 Kathy Moghadas has been providing quality medical management consulting services to individual and group practices, hospitals and allied institutions since 1987. As a registered nurse and risk manager, she has advanced certifications in healthcare business, compliance, coding and reimbursement, and risk management. 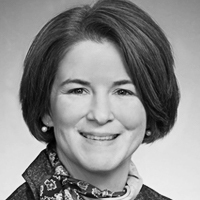 She is principal of the firm Associated Healthcare Advisors Inc. Kathy and her team are licensed and certified professionals who are committed to the pursuit of continuing education to maintain the highest standards of professional growth. Through her education company, TopCat, they have been meeting the professional continuing education needs of licensed healthcare professionals throughout the country. Kathy’s is the author of the books Medical Practice Policies and Procedures, and Tools for An Efficient Medical Practice, both published by the AMA. 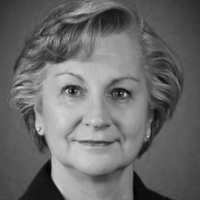 Kathy was the 2011 president of the National Society of Certified Healthcare Business Consultants, a member of Healthcare Compliance Resources, and a member of the American Academy of Family Practice Consultants Forum. She is a frequent contributor to healthcare industry publications such as Medscape, WebMD, AMA News, Medical Economics and Doctors Forum. Rebecca Neiduski received her Master’s in Occupational Therapy from Washington University and a PhD in Education from Saint Louis University. She serves as the Dean of the School of Health Sciences at Elon University in North Carolina. Becky has educated therapists in Guatemala, Romania, Egypt, Saudi Arabia, and South Africa, and has contributed to medical missions in Guatemala, Haiti, Nicaragua, and Cambodia. Becky was honored with the ASHT Paul Brand Award of Professional Excellence in 2014 and the ASHT Nathalie Barr Lectureship Award in 2016. 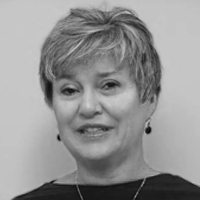 Jane Painter-Patton is a Professor in the Occupational Therapy Department at East Carolina University, Greenville, NC and has 35 years of clinical experience with older adults. She serves on the North Carolina Falls Prevention and Healthy Aging Coalitions, and the North Carolina Injury and Violence Prevention State Advisory Council. Her interests, presentations, and publications include geriatric community-based research (fall prevention, fear of falling, home safety). She is a certified Arthritis Foundation Tai Chi instructor, & Matter of Balance Master Trainer. She served as a guest co-editor for the 2012 March/April American Journal of Occupational Therapy Special Issue on Occupational Therapy Opportunities in Fall Prevention, (Volume 66/Number 2). Jennifer Pitonyak has clinical experience as an occupational therapist in a diversity of practice settings, including early intervention and the neonatal intensive care unit. She holds specialty certification in feeding, eating, and swallowing from AOTA, and is a Certified Infant Massage Instructor. She is currently faculty in the Department of Rehabilitation Medicine at University of Washington in Seattle. Her clinical and research interests include infant and family mental health, social policy and occupational justice issues, and scholarship of teaching. Dr. Cindee Quake-Rapp, Ph.D., OTR/L is a professor and program director of the Auerbach School of Occupational Therapy at Spalding University. She has published extensively and presented nationally and internationally on pediatrics, behavioral health, and assistive technology including pain management. Her short course on innovations in pain management was presented at the AOTA, 2014 annual conference in Baltimore, MD. 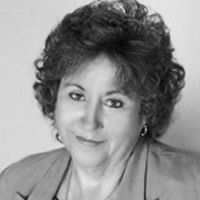 Karen Vance has been practicing in home care since 1981 in clinical, management and consulting positions. She has served twice as chairperson of the AOTA Home and Community Health Special Interest Section (HCHSIS) and was part of the original formation committee for the HCHSIS. Karen has served on the National Association for Home Care Therapy Advisory Committee, the Technical Expert Panel for CMS’ Home Health Quality Improvement Campaign, the Agency for Healthcare Research and Quality and Consumer Assessment of Healthcare Providers and Systems (AHRQ HHCAHPS) and liaison to Joint Commission for Accreditation of Health Organizations’ Professional and Technical Advisory Committee. 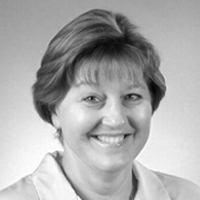 Karen has worked as a consultant for BKD Health Care Group since 2003 providing clinical and operational consulting for home care and hospice agencies to establish and maintain quality management practices. 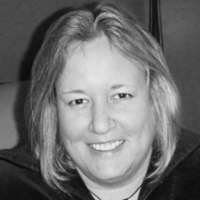 Karen is a 1978 graduate of University of Missouri, Columbia, with a B.S. degree in occupational therapy. Elsa Zavoda, MS OTR/L, SCLV, CLVT has been a practicing Occupational Therapist since 1997 with extensive clinical experience, serving in a variety of settings. 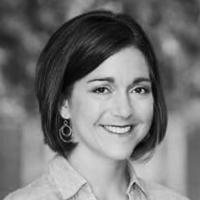 Ms. Zavoda originally graduated from the University of Indianapolis with a Master of Science in Occupational Therapy. 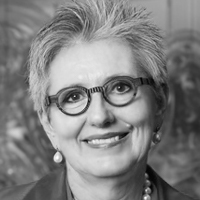 Ms. Zavoda obtained a Graduate Certificate in Low Vision Rehabilitation from the University of Alabama at Birmingham in 2007 under the leadership of Mary Warren, MS OTR/L, FAOTA, SCLV. She has served as a teaching assistant, working directly with Ms. Warren. Ms. Zavoda has been concentrating in the field of Low Vision Rehabilitation since 2006. Ms. Zavoda is the 16th Occupational Therapist in the U.S, and the first in NJ to be awarded Specialty Certification in Low Vision (SCLV) from AOTA in January 2010. She also has earned her Certified Low Vision Therapist (CLVT) credential from ACVREP in September 2010. Ms. Zavoda has successfully established and implemented 3 low vision programs in NJ, and has published articles in 2 OT publications. 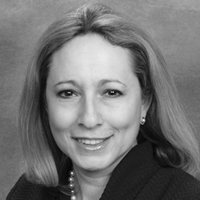 She currently serves as the Program Director for the Vision Loss Alliance of NJ.